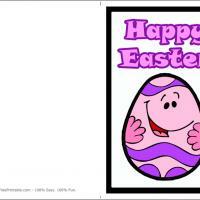 This friendly Easter bunny has a smile and a carrot for your family and friends. 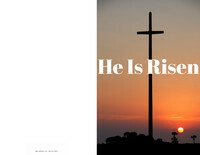 These printable Easter cards are an adorable gesture for your friends and family. 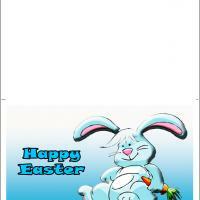 Bring a sense of spring with this adorable smiling bunny and sky blue colors. 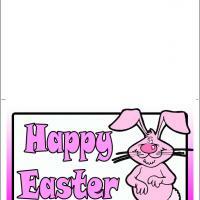 The inside is blank so you can personalize it with your own designs of more bunnies, Easter eggs or candy. Or, your lucky receiver can draw his or her own designs! 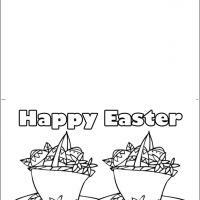 Here's a cute and fun way to say Happy Easter!